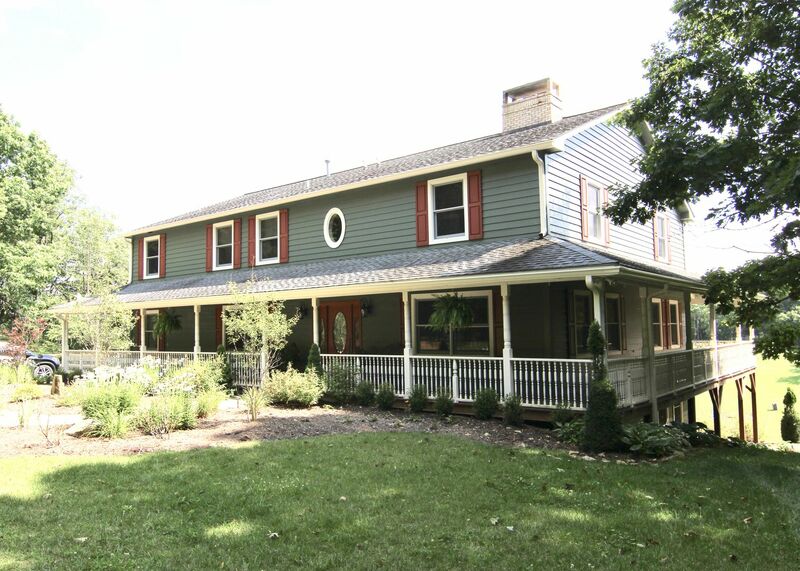 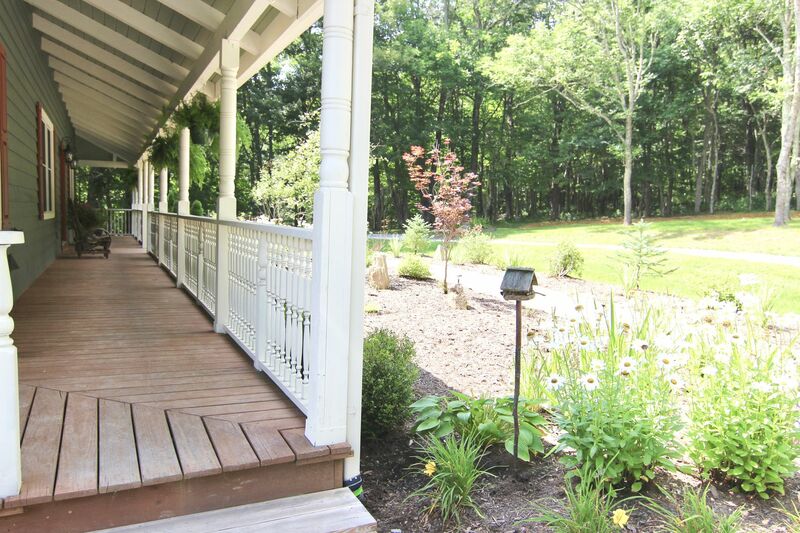 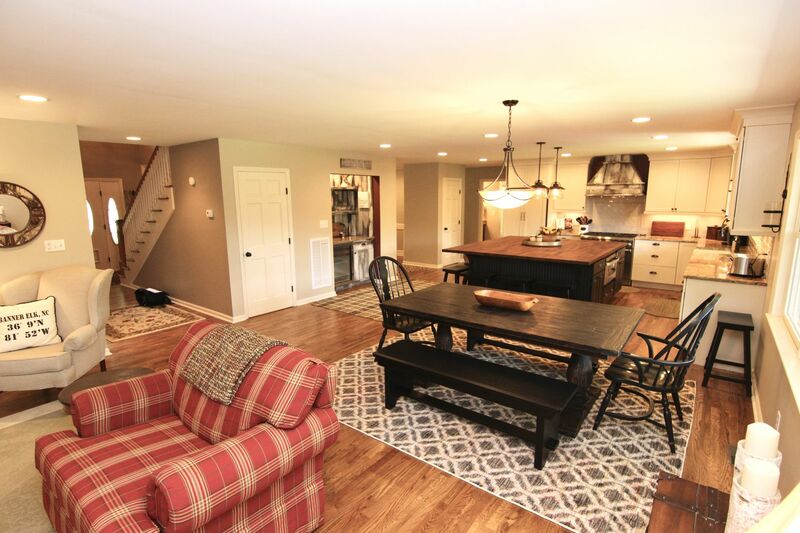 This fully renovated farmhouse with over 5900 sq. 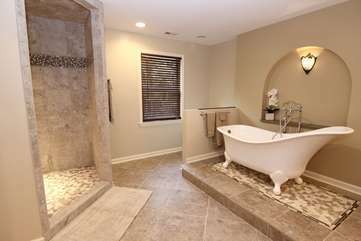 ft is nothing short of a true luxury vacation home. 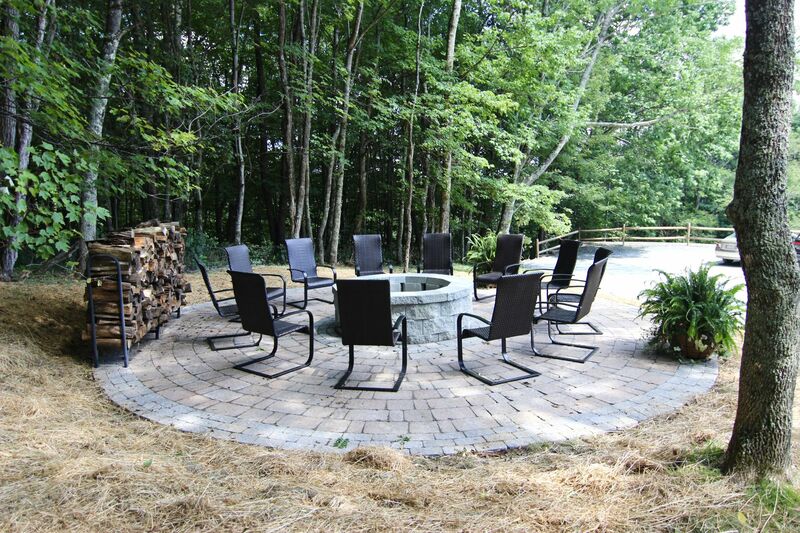 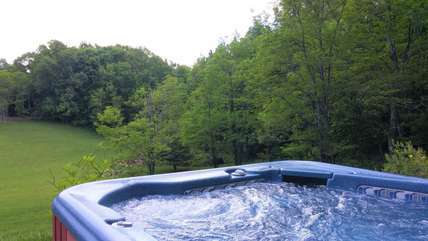 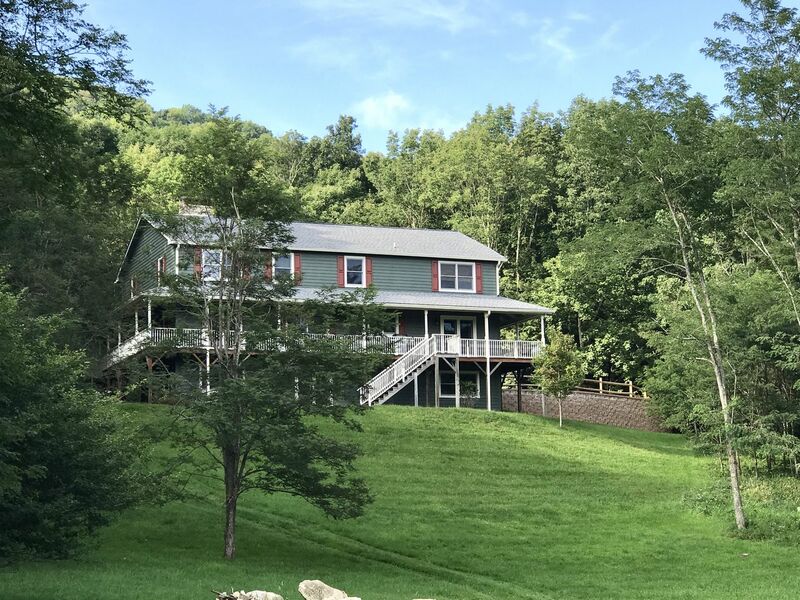 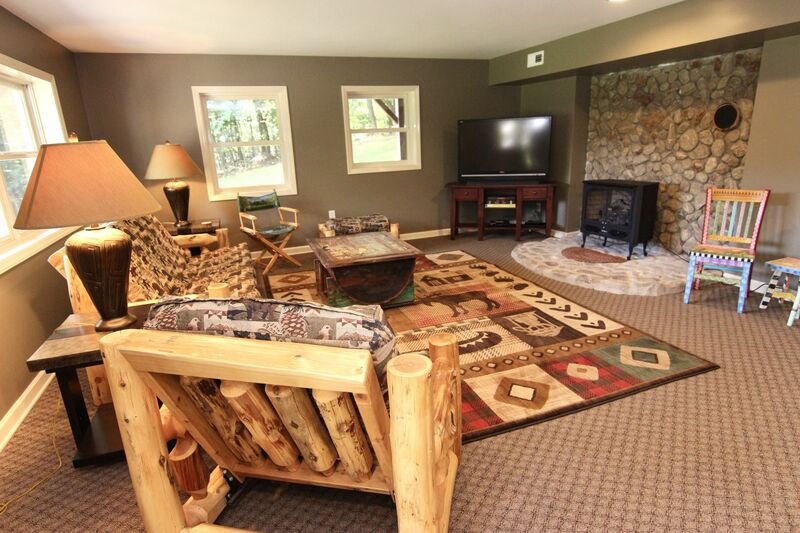 Located on a private, wooded lot, this home features a wrap around porch, hot tub and a massive stone fire pit for hours of outdoor enjoyment. The home accommodates up to 14 guest with it's 6 bedrooms. There are 5 full bathrooms. 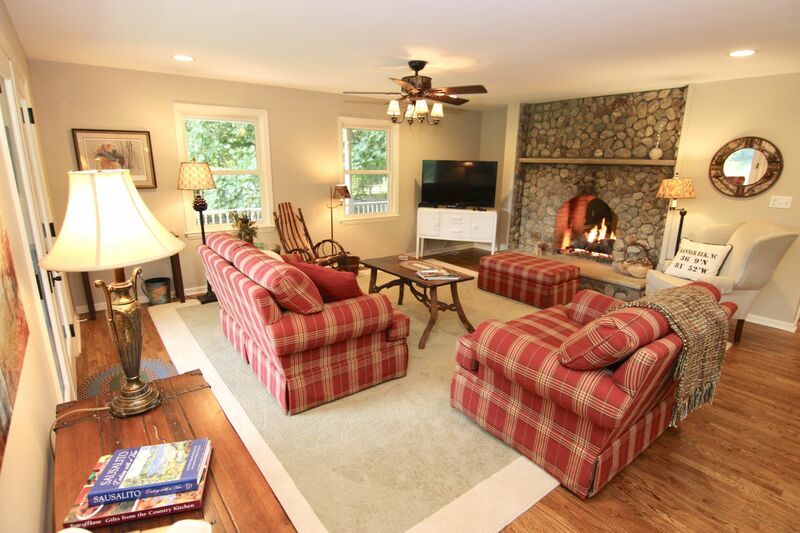 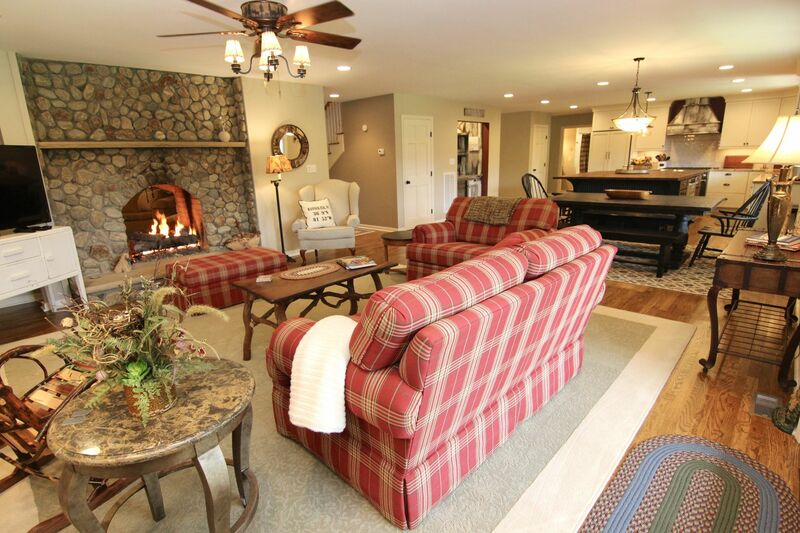 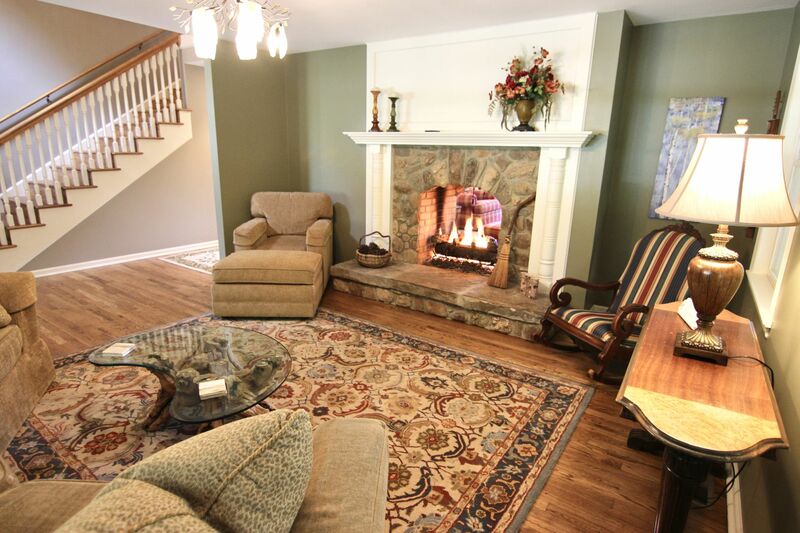 The front Living room has a see through river rock gas fireplace that connects to the Family room. 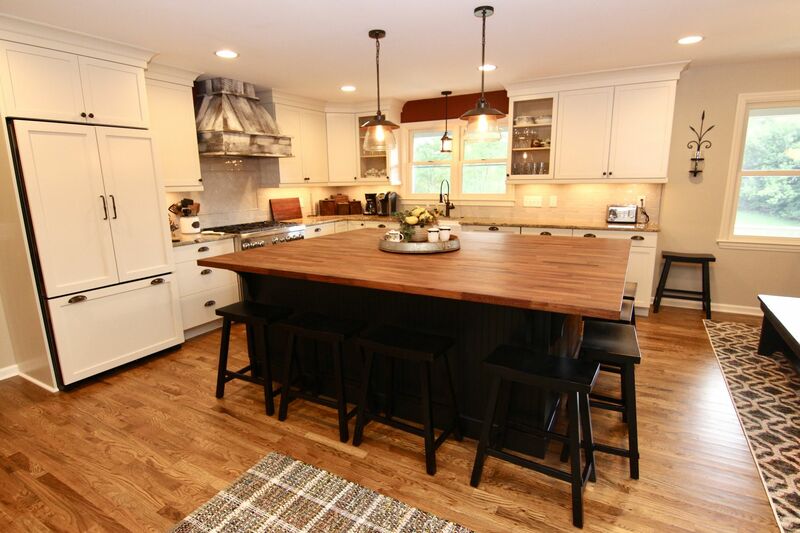 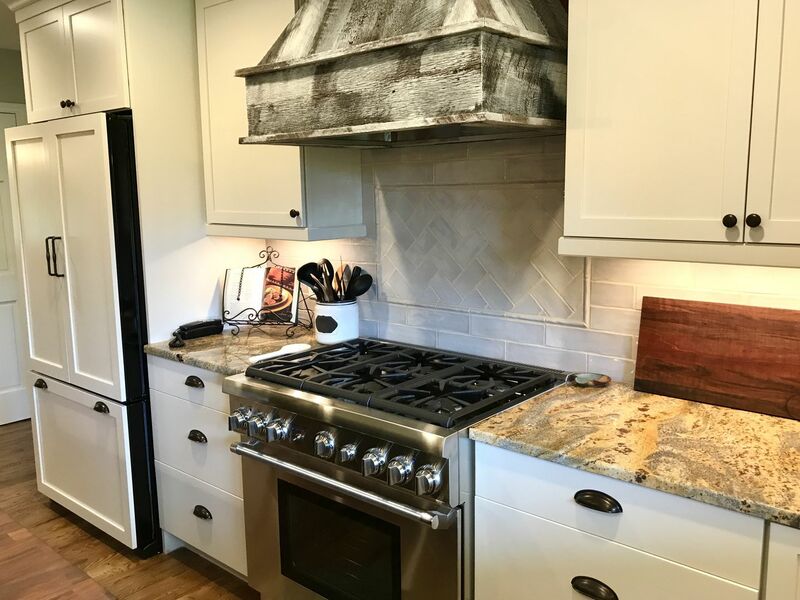 There is a gourmet kitchen with a Thermador, six burner gas stove and a built-in refrigerator, wine cooler, farmhouse sink, and an oversized butcher block island with 6 barstools. 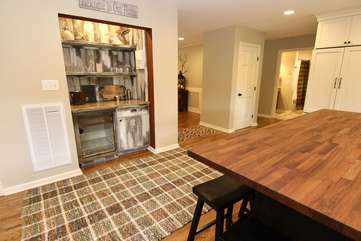 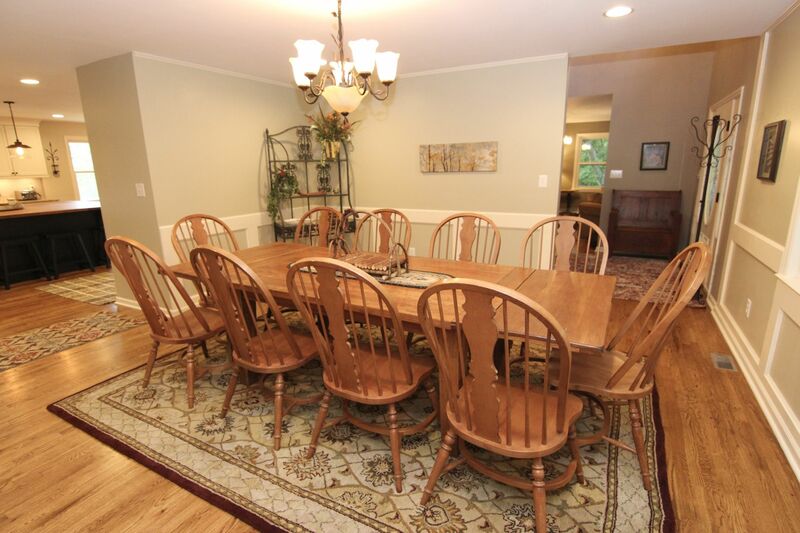 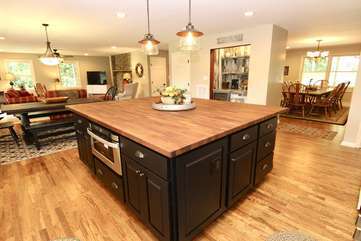 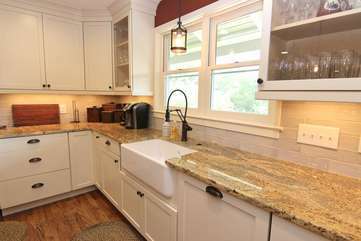 There is also a kitchen table that sits up to 8 and a farmhouse dining room table that sits up to 10. 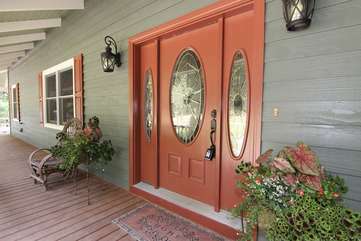 The house offers an open concept that allows for a rhythmic flow for large gatherings from the kitchen to the family room which has double doors allowing easy access to the walk-around porch over looking a peaceful, large backyard. 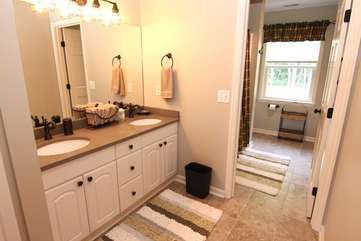 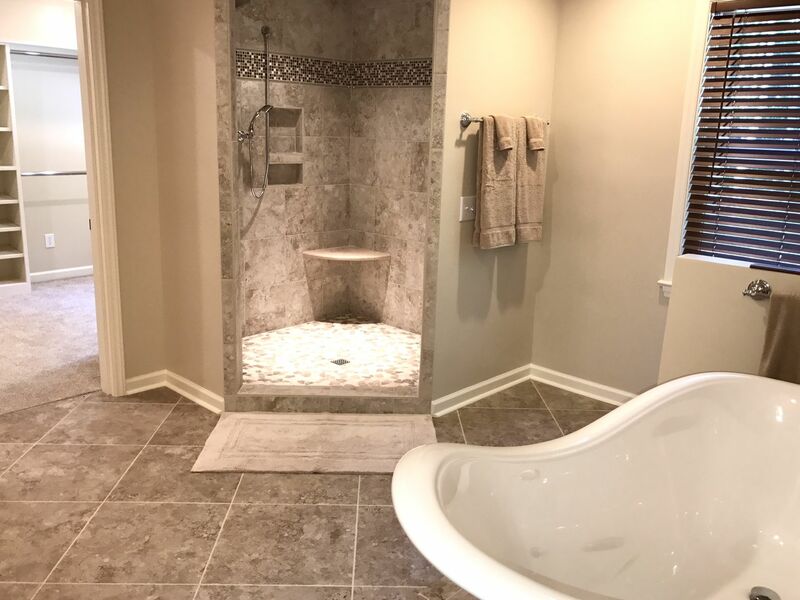 The upstairs level host the master bedroom with a king bed, sitting area with TV and a luxury master bathroom with dual vanity sinks, walk in tiled shower, Claw-foot tub, heated tile flooring and designer walk in closet. 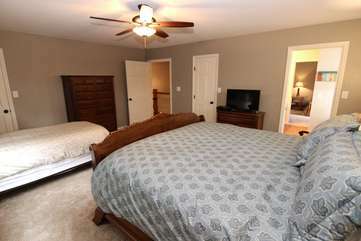 A second master suite located on the upper level has a king bed and offers a roll away bed with linens; if needed, TV and joins a Jack and Jill full bathroom that connects with the third bedroom that has two single beds and TV. 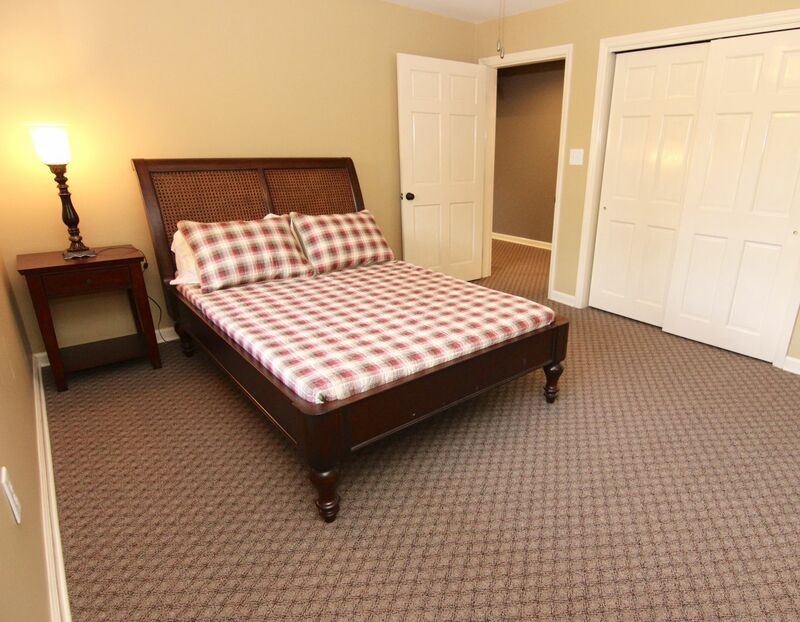 A fourth bedroom located upstairs offers the 3rd King bed with TV. 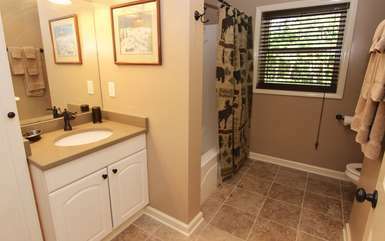 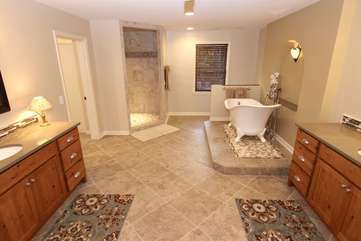 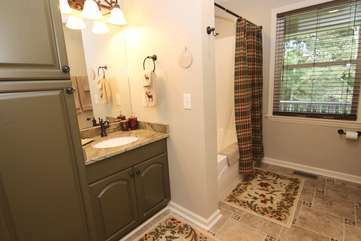 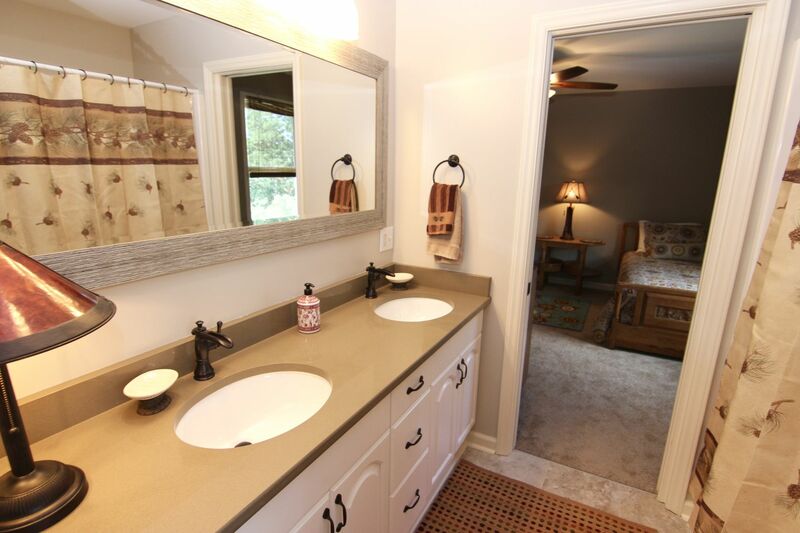 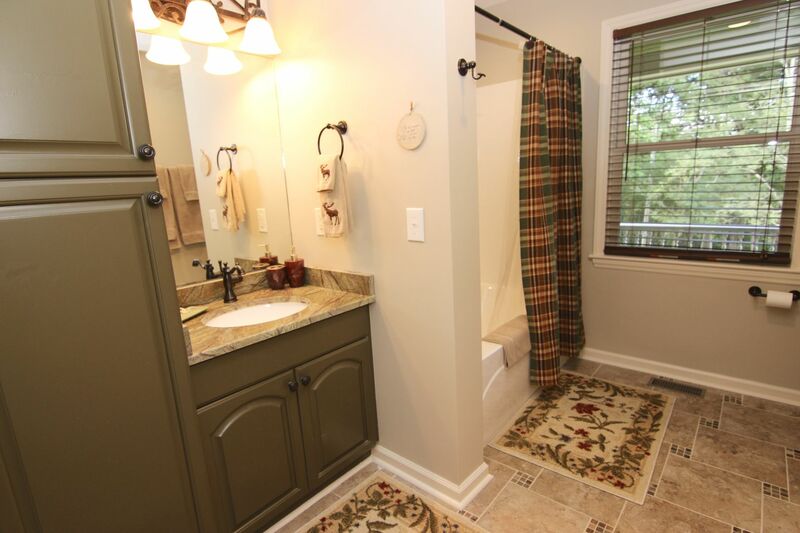 There is a full bath off the hallway and laundry room also on this level. 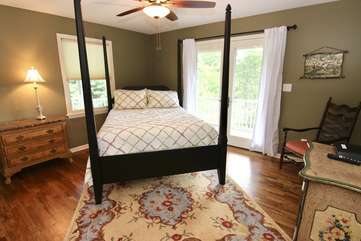 The main level has the fifth bedroom with a queen bed and TV and a full bath beside it; off the main hallway. 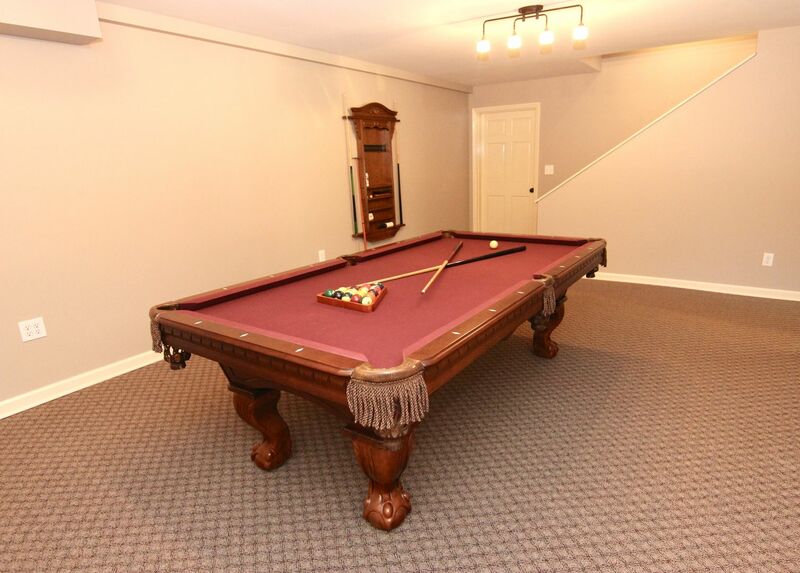 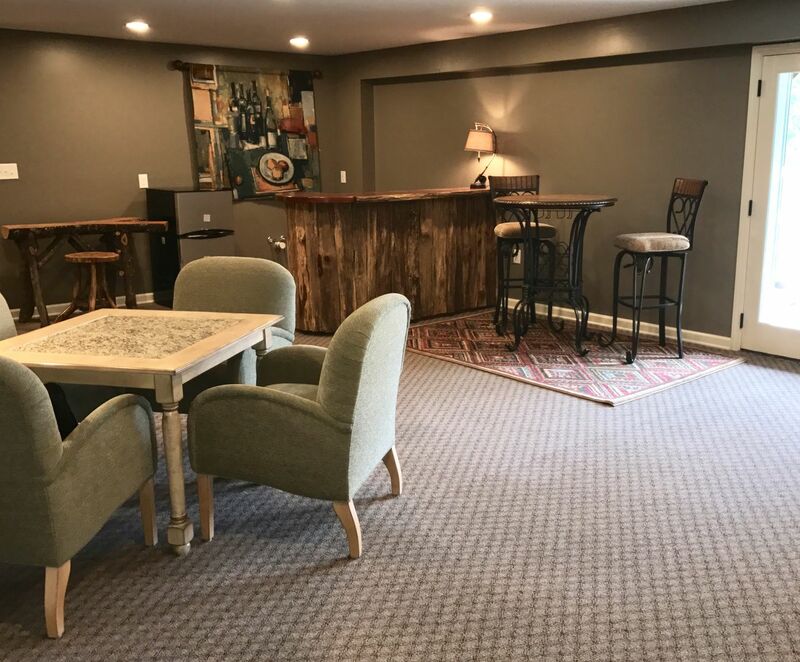 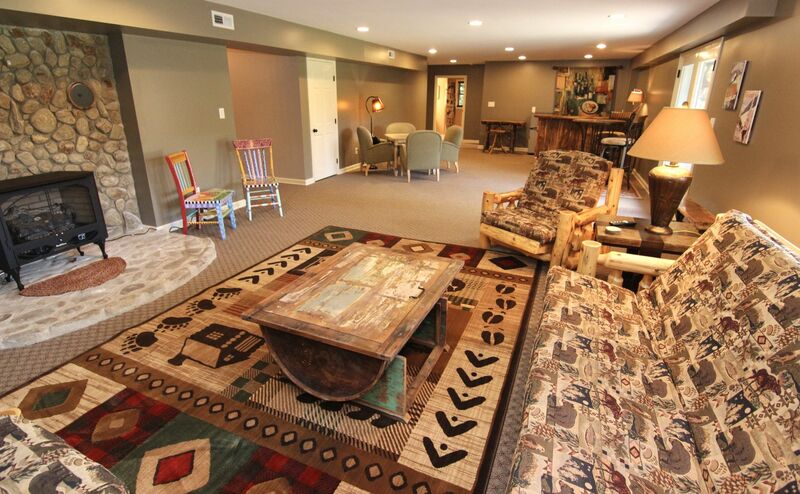 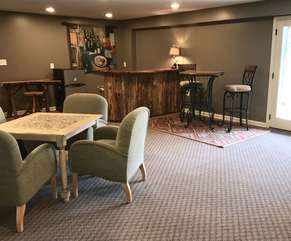 The lower level has a recreation area with a full sized pool table, TV sitting area, game table and bar. 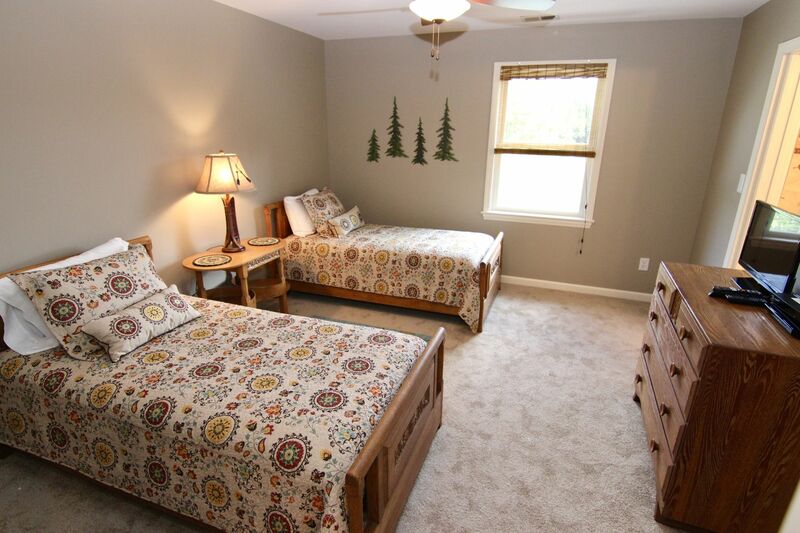 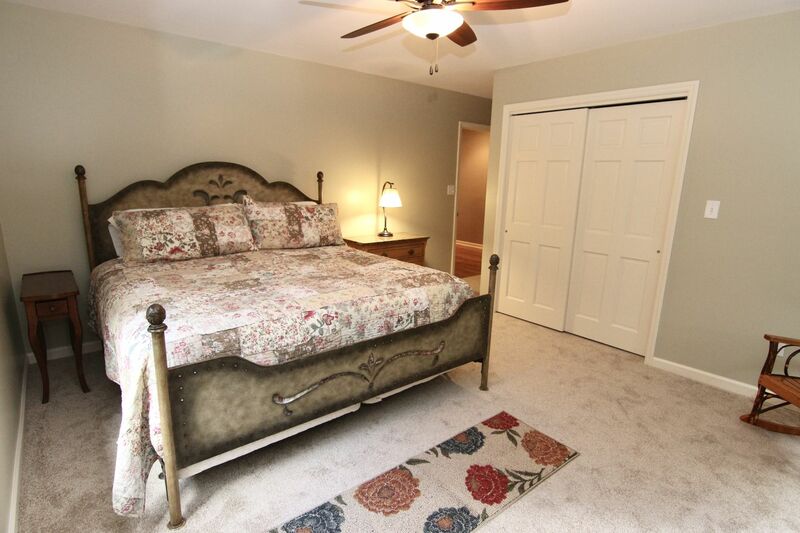 There is a sixth bedroom with a full bed and single, TV and a full bath off the hallway. This home has paved access for all but the last mile, and does present more challenging winter access. 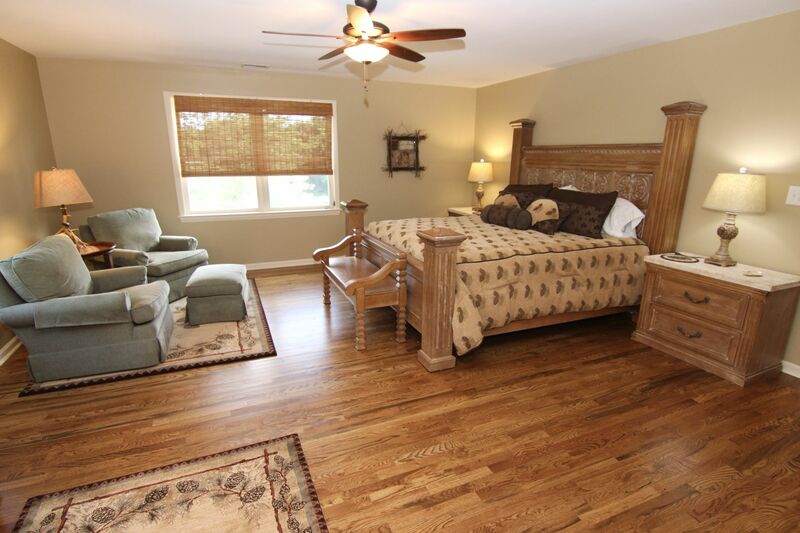 This home is dog friendly with restrictions, please call for additional details.